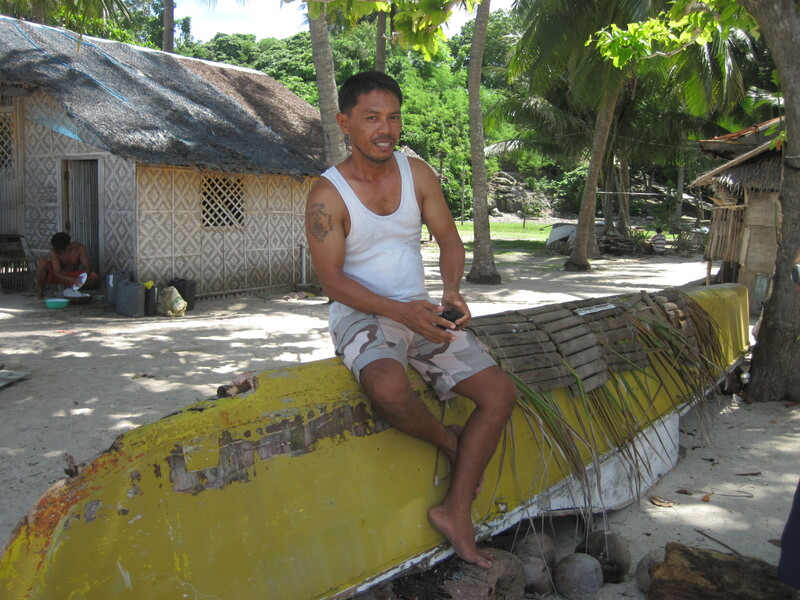 “They’re usually this big,” Dadong says in Tagalog, tapping the boat he’s perched on. ”When we’re hungry, we would just go out to sea and catch some dolphins. It was just like catching chickens,” he adds so matter-of-factly that I could only stare at him and nod, half-fascinated, half-disturbed.By the time he compared the texture of whales and dolphins when cooked, I was speechless. He had me at adobo. 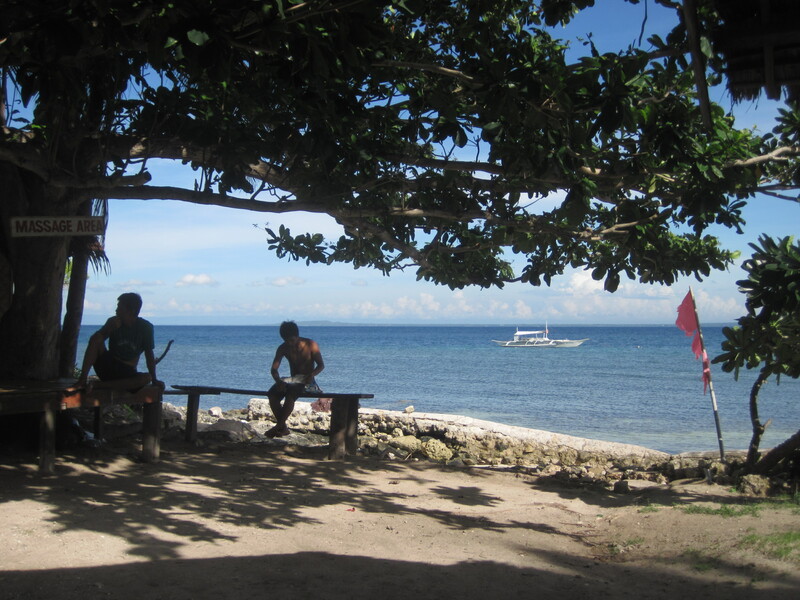 It was a sunny Saturday when my husband and I landed on Pamilacan, whose waters are renowned in the Visayas as the “playground of dolphins.” The Boholanos weren’t kidding. During the 45-minute boat trip from Baclayon to Pamilacan, we were escorted by at least 20 spinner dolphins at any one time. They were so cute and friendly and… alive, it didn’t occur to me what they’d look like in a frying pan. Then again, we were merely visitors to the island, strangers to a culture whose children, at age 10, were taught that cetaceans are food. Now in their 40s, they are learning differently and struggling to survive the consequences of doing right. We were their much-needed visitors. It’s always just Europeans,” says Elvie, the innkeeper at the Pamilacan Tourist Inn and Restaurant, who met us with leis as we docked. After serving us coffee, she went inside one of the nipa huts and came back with a picture book. It was from the French couple that stayed there for two weeks and still writes to say that they think of warm days in Pamilacan during cold winter nights in Paris. There’s also the German scientist who spent a month there for research, the backpacking Dutch guys, the Filipino balikbayans who asked her to give their entire family a massage and ended up not paying because, they told Elvie, they didn’t have cash. Well, somebody didn’t do his homework. How can you expect an ATM or a credit card machine in a place that does not even have electricity (except from 6 p.m. to midnight when the public generator is on)? On this 140-hectare island populated by around 300 families, there is no source of fresh water besides the rain (don’t worry, they order drinking water from Baclayon city and use DOH-issued chlorine on rainwater for cooking), no Internet (albeit there is mobile phone signal and e-load), and definitely no Starbucks. Pamilacan is not a place for those seeking a party – it’s for people in search of time. We were in search of something different. It was my husband’s birthday, and on such occasion, “different” would mean ditching the restaurant and enjoying a home-cooked meal. Of course, it doesn’t hurt to have that meal with a little sand on your feet. “The men catch the fish in the morning, and we cook them for lunch. We get the vegetables from the backyard,” Elvie says as she sets on the table a fat grilled fish, squash and string beans in coconut milk, plus the staple Boholano soup layo (onions, malunggay and fish bits). It was happiness washed down with cold mineral water. And yet this is what city rats like us need, a stillness broken only by the Visayan love songs being sung by our boatman. After lunch, we decided to check out the “whaling museum” on the other side of the island — the fishermen’s side. 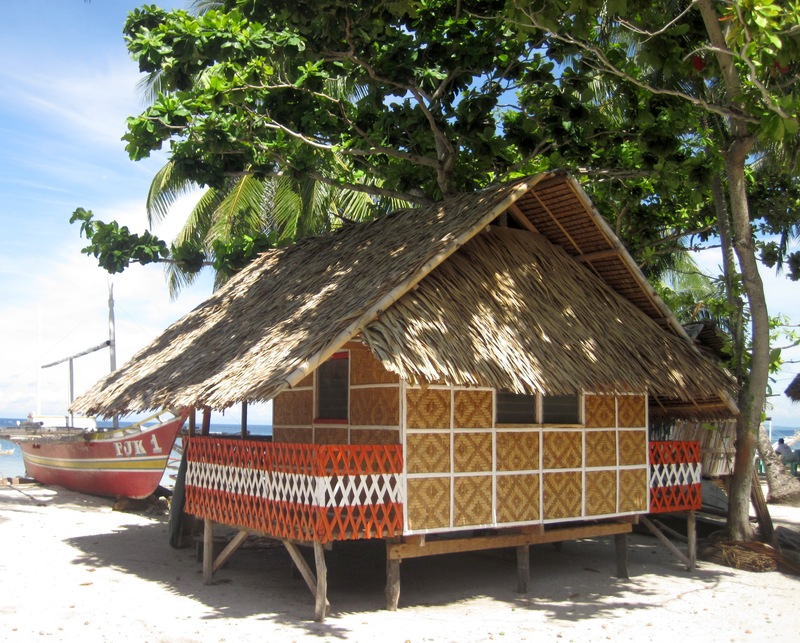 It was a pitiful hut housing preserved dolphin bones and the tools of the hunting trade. The “museum” was surrounded by fishermen’s houses with karaokes blasting all day (I’m not sure where they get the power source). This is where we met Dadong, whose unabashed stories of his past life as a dolphin-hunter is the kind of sound bite environmentalists and reporters would pay for.Back when Pamilacan was outside the radar of environmentalists, and later the authorities, Dadong and other hunters used to rake in at least Php100,000 (divided among a crew of 7-8) for a medium-sized whale, thanks to Taiwanese and Japanese dealers competing for fresh catch. Now he gets Php150 for a kilo of fish and Php300 for a dolphin-spotting gig with tour operators. It’s barely enough to send the children to school, but there’s no mention of regret here, or at least not in my presence. 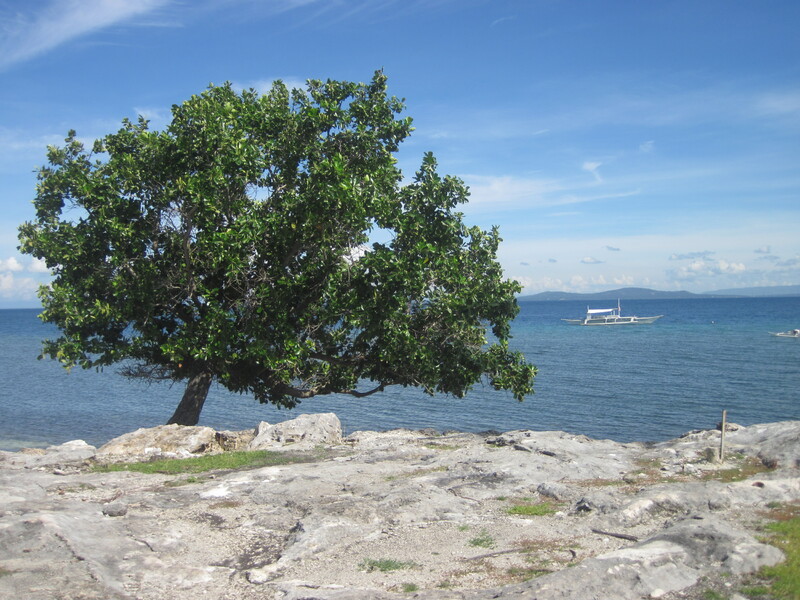 Environmental advocacy groups have come and gone in Bohol, some due to money woes, others out of frustration because, as a known environmentalist told me later, the whale- and dolphin-hunting has not really stopped in Pamilacan. He had no proof, he said, and I could not verify the information either.